For the Christmas ident the request was to create a product full of atmosphere taken from the collective mind. Film industry has always been very dedicated to this theme, hence the decision to graphically reproduce the fantastic world of Santa Claus. 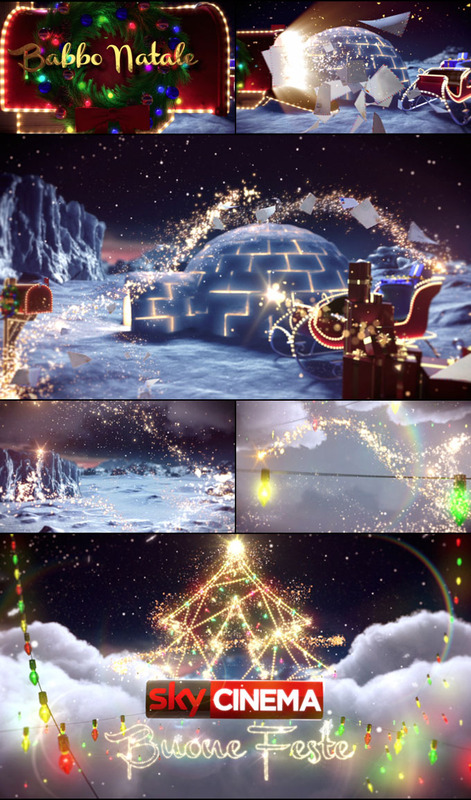 The ident was developed and designed keeping in mind an energetic family environment, to represent the scene with the use of shiny elements, lights, colors and fluid images along the journey of Santa Claus’ letters, and graphically communicate the cheerful atmosphere of Christmas.